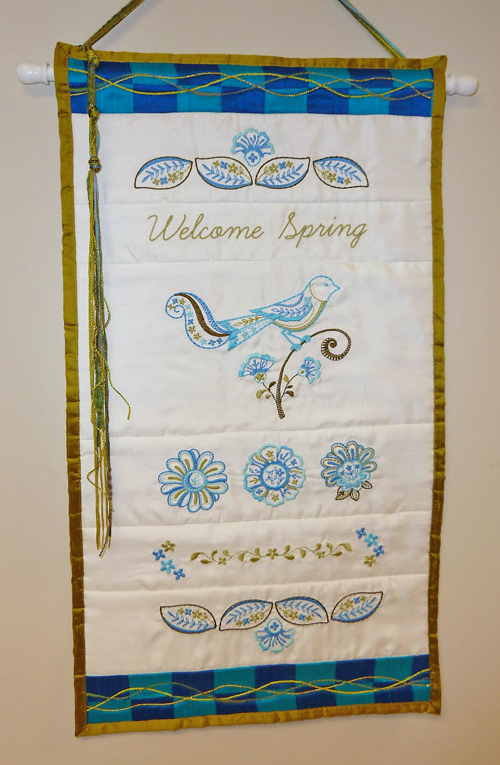 My favorite part of making the Stitch ‘n’ Bloom Welcome Spring Banner was embellishing it with decorative threads. Couching fancy fibers over the borders of the banner add movement, texture and interest! Attach Braiding Foot #21 to the sewing machine. Use regular sewing weight thread in the bobbin to match the backing fabric. Thread the needle with YLI Wonder Invisible Thread (clear nylon monofilament). Reduce the thread tension to 2 and feed the decorative fiber through the hole in the front of the presser foot, pulling both the monofilament and decorative fiber 3-4” to the back of the presser foot. Select the #2 zigzag stitch, and test the stitch setup using a practice piece of fabric (for this project I had a quilt sandwich: top fabric, batting, and backing fabric). 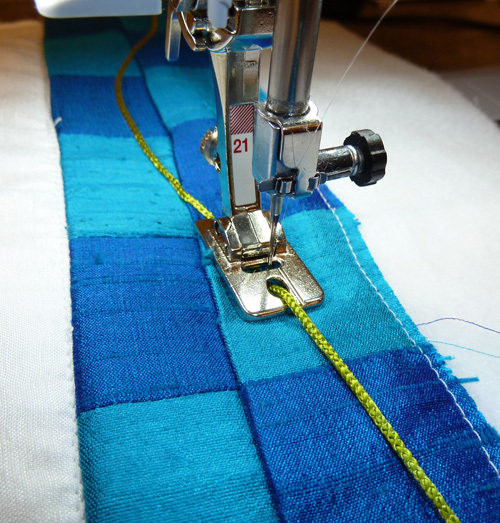 Adjust the stitch width of the zigzag if desired. 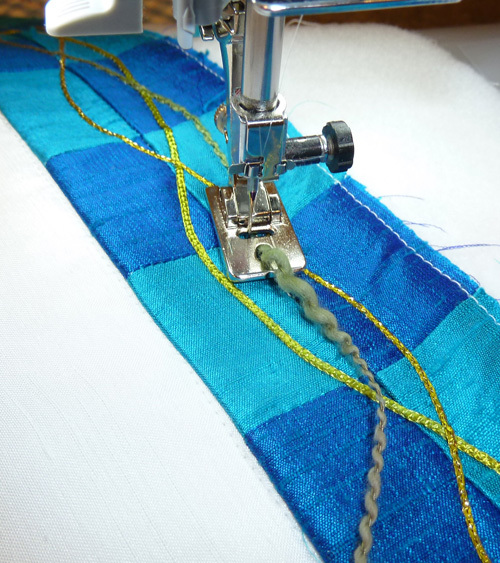 If the monofilament breaks during stitching, reduce the top tension further until it can stitch without breakage. 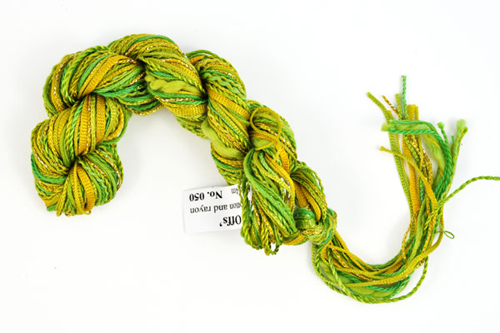 After successfully completing the test run, apply your fancy fibers quickly and easily to any project. Because the top thread is clear, you will not see the zigzag stitching which is holding down the decorative fiber. You can find the full project instructions for the Stitch ‘n’ Bloom Welcome Banner for free download on berninausa.com.